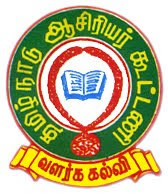 தமிழ்நாடு ஆசிரியர் கூட்டணி: EMIS-Student Creation for all classes is open now. Please enter valid student data. EMIS-Student Creation for all classes is open now. Please enter valid student data.